Do you have a construction project in the Wisconsin Rapids, WI area? 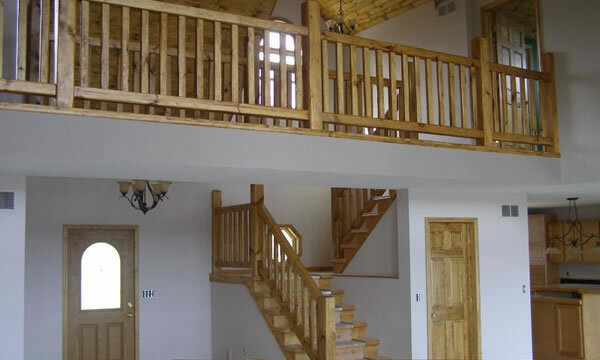 Abel Complete Construction has 15 years of experience working on residential and commercial construction and remodeling projects throughout Wisconsin Rapids, Wisconsin. We can help you design and build anything from a cottage or log cabin on your vacation property to a sprawling 5000 sq/ft luxurious home and everything in between. If you’re looking to build-out a retail space, or an office space, or to remodel your Wisconsin Rapids business we can help you too. If you’re looking for a contractor that can provide new construction services we can do that too, we can build a new location for your business, a public building of some type, strip malls, apartment complexs or any other small to medium sized commercial structures. We aren’t just saying this to try and drum up business from our website, we actually have taken on and completed several commercial projects and we understand the unique challenges that commercial construction projects are faced with. Whether it’s a residential construction and remodeling project or a new commercial building. Abel Complete Construction has the experience and resources in-place to complete almost any construction project within Wisconsin Rapids, WI. At Abel Complete Construction we aren’t just limited to the services we’ve listed above. If you have any residential or commercial construction project in the Wisconsin Rapids, WI area that you need to have designed and then built then we’d love the opportunity to take a look at the project and offer you a competitive estimate. Your project cost will not be inflated to pay for any expensive showroom, or a bunch of big and fancy new trucks. Abel Complete Construction LLC, Is a local family owned, full service general contractor. We serve Central Wisconsin and the Central Wisconsin. Abel Complete Construction is owned by Tyler Abel. Tyler’s 15+ years of experience in commercial and residential construction coupled with a desire to provide customers with true craftsmanship led to the creation of ACC in 2012. We understand that you have many choices when it comes to choosing a construction and remodeling contractor to complete your project in Wisconsin Rapids, WI. We just want you to know when you choose Abel Complete Construction to help you with your remodeling project you aren’t just hiring a contractor. You’re taking on a new partner with an invested interest in helping you make your home or business a better, safer more enjoyable place to live and work. We treat your project as if we we’re building it for ourselves!